Deep Nutrition Talk – Is there more to discover? There are fad diets, and then there is proper nutrition. The former lasts for a few weeks, maybe months. The latter sticks with you for life as you learn that the food that you eat can make you sick or make you strong and healthy. I came across this short video that highlights the question, is Diet the disease of our generation? Our next talk on Thursday 15th January, will help you to understand why we’ve missed the big “nutritional” picture, and give you the motivation that you need to take control of your health and get started. 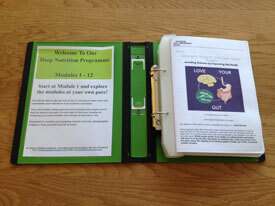 We are pleased to announce that we now have a new “hardback” edition of the Deep Nutrition Program available! 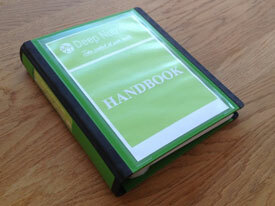 As an alternative to the online program, you can now purchase the Handbook directly from the clinic.